Li-Hsing is dedicated to manufacture high quality forged products. We are committed to provide products and services that not only meet but commonly exceed our customers’ expectations. To ensure that our high standards are met, we adhere to strict quality policies. We maintain a strong team of highly skilled, prudently trained engineers. 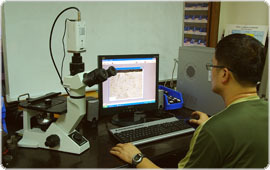 Li-Hsing Quality Assurance Lab is well equipped with the latest quality control equipment. We establish a robust quality system, a quality control criteria, and quality assurance programs. We maintain a clean work environment. More importantly, we are committed to provide the best service to our customers and we are dedicated to ensure timely delivery. Li-Hsing Quality Assurance Lab is well equipped with the latest quality control equipments. Please take a virtual tour of our lab and examine the quality control equipments available at Li-Hsing. Li-Hsing is an TS 16949:2009 certified forging metal parts manufacturer. 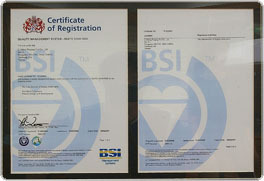 TS 16949:2009 is an internationally renowed guideline for quality management requirements for the automotive industry. TS 16949:2009 provides a model for product development, design, testing, and production of automotive-related products. 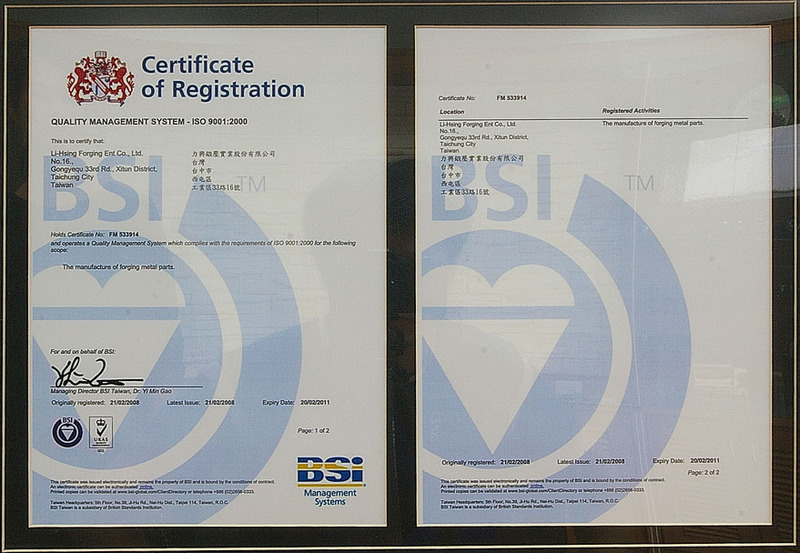 Li-Hsing is an ISO 9001:2008 certified forging metal parts manufacturer. 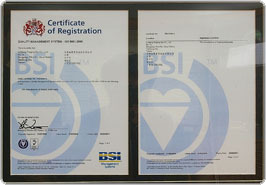 ISO 9001:2008 is an internationally renowed guideline for quality management requirements in business-to-business conducts. The ISO auditing process inspects every aspect of a manufacturing business. The ISO 9001:2008 standard ensures clarity in product development, consistency in production, and assurance to our customer that our products meets and and exceeds their expectation.